Talents coming from a non-Bollywood background and standing on two feet in the industry gain more respect from the audience, says actress Amyra Dastur. Daughter of a doctor and a businesswoman, Amyra belongs to a Parsi family. She made her acting debut in Bollywood with "Issaq" in 2013 and was later seen in Hindi films like "Mr. X", "Kaalakaandi" and "Kung Fu Yoga". She also featured in Tamil and Telugu movies like "Anegan", "Manasuku Nachindi" and "Raja Gadu". Asked if she feels the industry is tougher for an 'outsider', Amyra told IANS in an e-mail interview from Mumbai: "Getting that debut film is definitely harder than someone who has got a known last name. I mean some star kids don't even audition... I think one gains more respect from the general public as well when you have no ties to the film background and manage to stand on your own two feet in this industry." The 25-year-old actress said she went through over 30 film auditions and got rejected until she finally managed to bag her debut film "Issaq" in 2013. "Then there's the survival aspect which again is definitely harder for someone who is not a part of the industry. If your first film does badly, there's no guarantee of the second film. There's no one to shield you from the dark side of the industry either. But I feel that's why outsiders are stronger mentally as well. "You just have to be. Only you can take care of yourself and only you can push yourself to do better and work harder and make someone believe in your talent," she said. Talking about the pressures of being an actress, Amyra said: "What aren't the pressures of being an actress? Don't get me wrong, I love my job. It has been my one and only dream but it's scary. There's a certain lifestyle and image one has to live up to or face the criticism which is quite harsh and cruel." But times are changing, she said. "People are becoming more accepting. One doesn't have to be a size zero any more or ridiculously fair or tall. Women in the industry are voicing their opinions more and change is definitely occurring," she added. 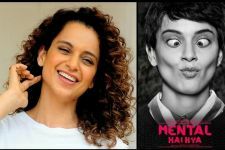 On the work front, Amyra has several films in her kitty, including "Mental Hai Kya", "Made In China" and "Rajma Chawal". 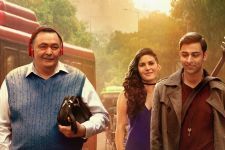 For director Leena Yadav's "Rajma Chawal", which will release on Netflix, Amyra is sporting a side-shaved look. Was she apprehensive about partly shaving her head? "I was really excited about this look. We shaved it a month in advance to see how it would look and if any changes needed to be incorporated once it was done. I didn't tell my parents about the look, I just showed up once it was done and they freaked out in the best way possible," she said. The actress said her mother was a little apprehensive but her father cracked up in laughter. "I got used to it and forgot it was even there. So when people in Delhi would stare at me, I'd scream and be like -- 'Kya dekh rahe hain? (What are you seeing) and they'd say, 'Madam nice hairstyle' It would be quite entertaining for people around me," she added. Sanjay Dutt to venture as PRODUCER for Regional Marathi film!